This new annual event is provided by a partnership between the Great Falls Voyagers and The University of Providence. This will also be a fundraiser for the Argo athletic department. 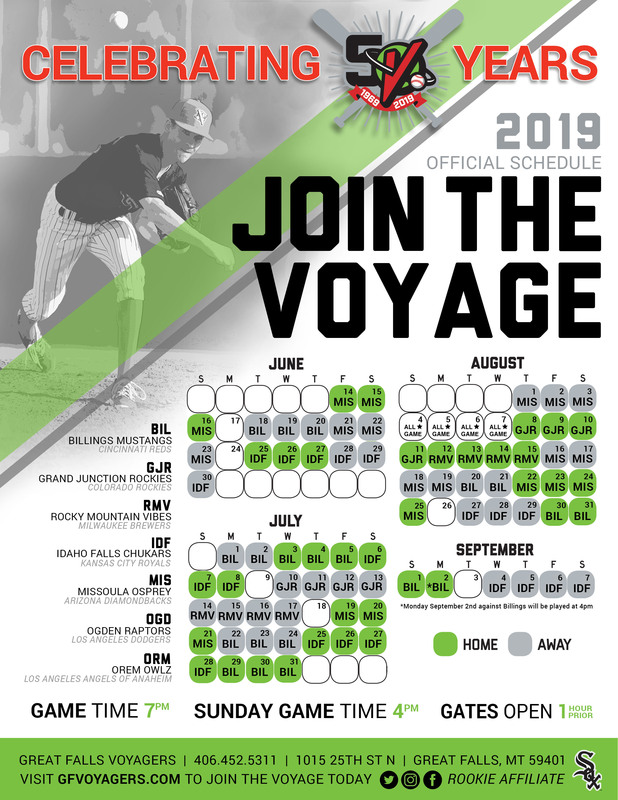 Tickets are on sale now at www.gfvoyagers.com. 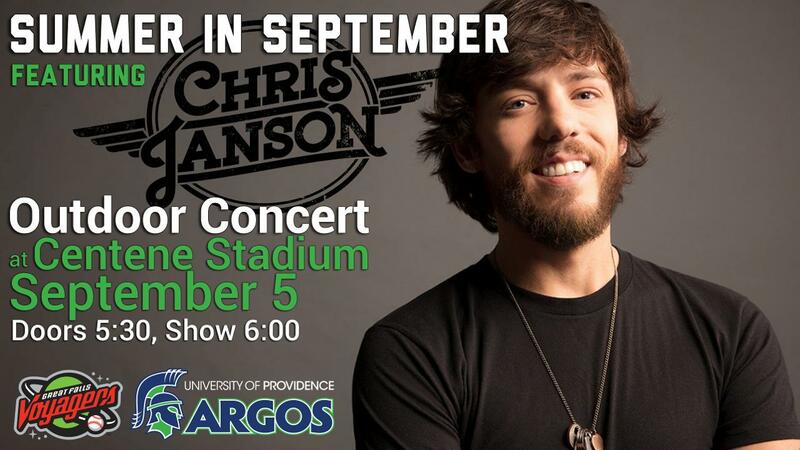 "Summer in September" featuring Chris Janson will be the latest in a long line of great stadium shows at the ballpark that in previous years have included Eddie Money, Josh Turner, Aaron Tippin, RaeLynn and more. Chris Janson is a Platinum-selling high octane entertainer, multi-instrumentalist, award-winning singer/songwriter, and the youngest living member of the Grand Ole Opry. His sophomore album, Everybody, produced his second No. 1 hit single, "Fix A Drink," the chart-topping follow up to his No. 1 debut smash and summer anthem, "Buy Me A Boat." His current single, "Drunk Girl," is climbing the country airplay charts while being hailed by the Tennessean as "a shoo-in for a Song of the Year nomination." Janson closed out the 53rd ACM Awards with what Rolling Stone called a "must-see performance," and he floored his audience at Stagecoach. Janson is currently on the "Life's Whatcha Make It Tour" with Jake Owen, as well as doing his own headlining dates, which included a sold-out show at the historic Ryman Auditorium. For tour dates and more information, visit www.chrisjanson.com .